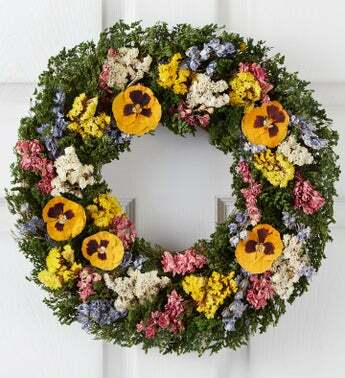 Our enchanting springtime wreath is a welcome sign of the season. A beautiful décor piece exquisitely handcrafted from a variety of preserved florals in soft hues of pastel and purple. It’s a thoughtful gift for housewarmings, Easter or any springtime celebration. Care Tip: To help preserve its beauty, you may spray your wreath lightly with hairspray every few months.